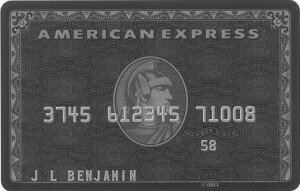 A highly regarded, exclusive American Express Card issued by “invitation only” to current AmEx holders with high incomes and A+ credit. This card entitles its holders to VIP access, upgraded flights, event tickets, and special treatment at department stores and such. A $2500 fee is payed by each of its card holders annually. Also known as a “Centurion” card. Did we think anything otherwise? Hello I came across your website by mistake, I was searching the net for New Fashion Designers when I found your webpage, I must say your site is very interesting I just love the theme, its astounding!. I don’t have the time in this instance to totally read your website but I have bookmarked it and also subscribed for your RSS feeds. I will be back when I have more time. Bravo for a great webpage.